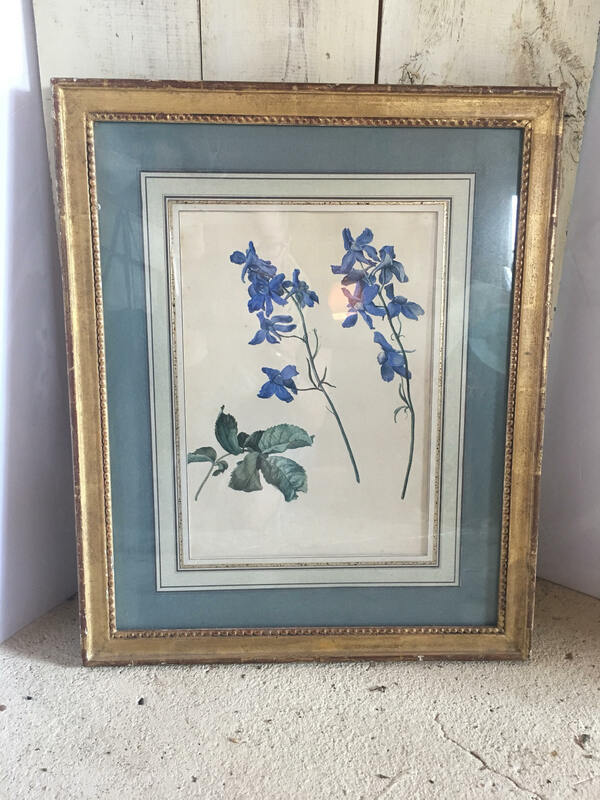 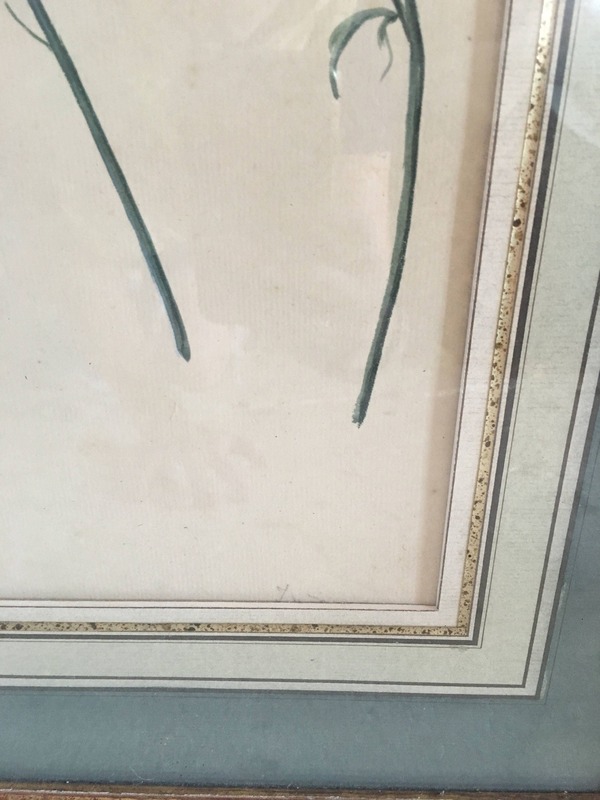 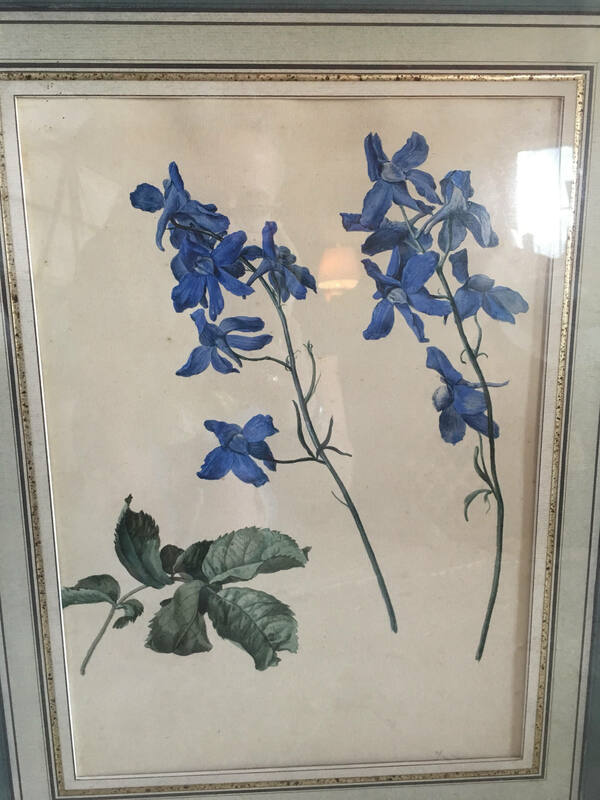 Vintage blue floral watercolor, nicely matted with vintage gold frame. 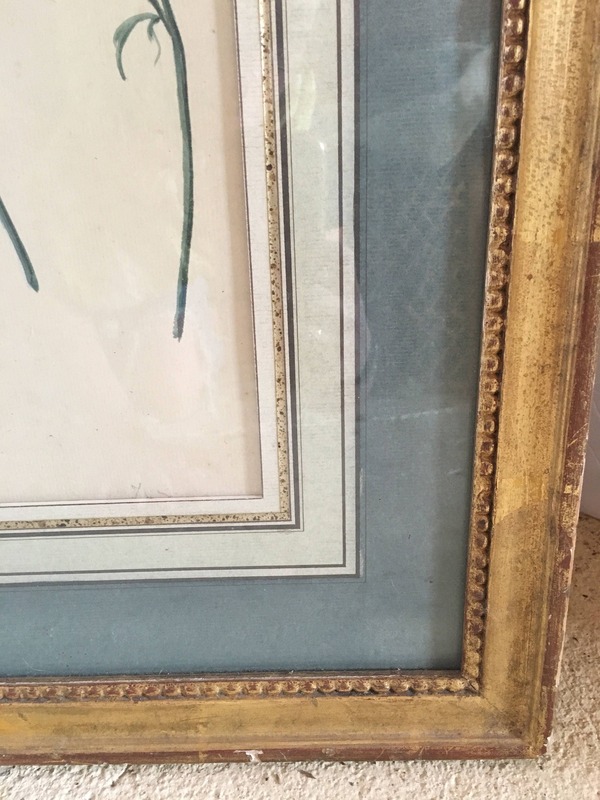 Signature is present under the matting, but not visible. 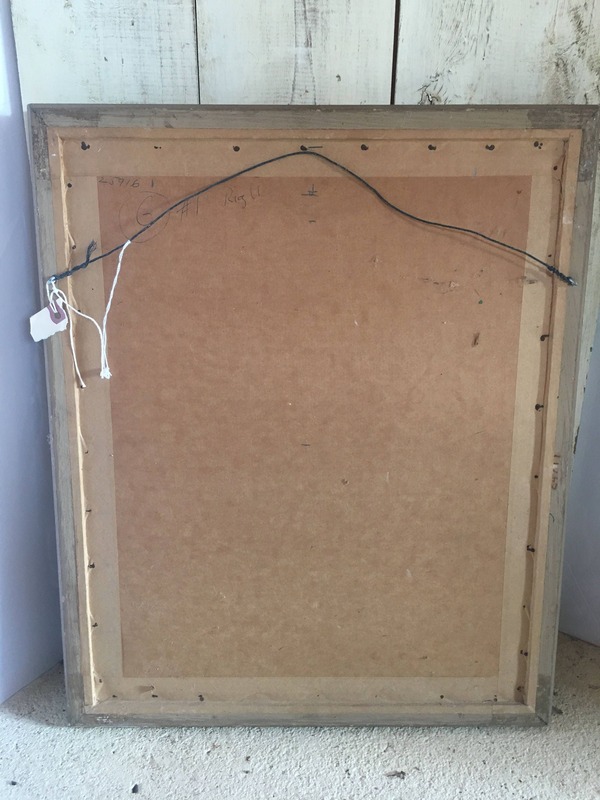 Measures 21” tall by 17.5” wide.